A Hindi online portal Streekal had complained to the Bar Council of India (BCI) on 16 October that Karanjawala had breached bar council rules as its Vakalatnama (plea to act for a client in court) was missing the complete details of all of the 97 lawyers that the firm had said were acting for Akbar. He added that the complaint was “innocuous”. 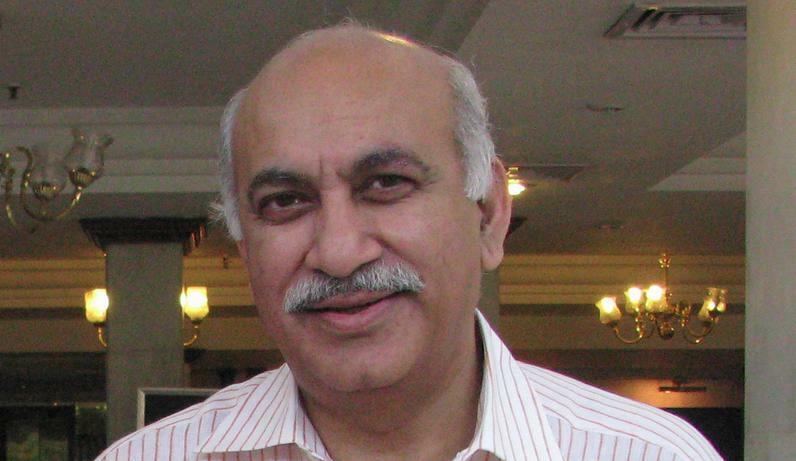 Karanjawala’s Vakalatnama to act for former journalist MJ Akbar in his criminal defamation case against a female journalist who had accused him of sexual harassment had gone viral on social media on 15 October, in-part for carrying a list of 97 lawyers on the side of Akbar. “A [Karanjawala] representative said the vakalatnama with the 97 names is the staple one for all cases that the firm takes up. She said the associates who will deal with the case have been named on the website livelaw.in. Livelaw has listed senior partner Sandeep Kapur, principal associate Veer Sandhu, senior associates Niharika Karanjawala, Apoorva Pandey, Mayank Datta and associate Gudipati G. Kashyap as the lawyers through whom the petition was filed,” The Telegraph had reported earlier. Kian, instead of reporting such trivial matters on a case everyone already knows about, please have the guts to expose sexual harassment within legal profession. You know very well who the notorious predators are. Time to name and shame them. Kian is a journalist, he can't go around pointing fingers willy-nilly. If you know, send him an anonymous tip with details and evidence. This is a non innocuous complaint against Raian Karanjawala, and no, the lady is not mentally ill. Instead she is brave enough to be the first woman lawyer to seek redress of her sexual harassment complaints through a Writ Petition filed in the Supreme Court of India itself. It is shameful that both Soli Sorabjee and Raian Karanjawala are smearing the complainant as mentally ill. Is this their only defence? Should a woman lawyer be targeted like this. This is the equivalent of witch burning in medieval times. And the anon blog created in 2014 at the behest of these lawyers to target Seema Sapra and to smear her as mentally ill and to target her (to which Legally India also irresponsibly linked) has now been removed pursuant to Delhi High Court orders in Writ Petition Criminal 437/2018 filed by Ms Sapra. Police investigations into who created and handled the blog and the connected Gmail account are on. I presume "Gated" is referring to Raian Karanjawala and Soli Sorabjee. Their response to Seema Sapra's #MeToo #MeTooIndia expose and complaints is the desperate rambling of criminal minds and they will get fully exposed in Court. By the way, this comment itself is proof of Karanjawala and Sorabjee having Seema Sapra targeted. Am sure Ms. Sapra would like to use the screenshot as evidence of targeting before the Supreme Court in Writ Petition Civil No. 1027/2018. These lawyers think they are above the law and can act with impunity. The world is watching.